Universal Studios Orlando was a magical place in the early 90s. A Florida resident at the time the park opened, I kept pretty close track of what was happening. The more news I heard, the more excited I became about finally entering those front gates for the first time. I was obsessed with movies when I was a wee lad. Ghostbusters and Back to the Future were my absolute favorites. When I found out they were each getting their own theme park treatments, my young brain couldn’t comprehend the situation. At Universal, I would have the opportunity to participate in my favorite films. All around the state, there were billboards featuring Doc Brown and Slimer. I was totally immersed in a movie fantasy world. Even today, the memories of this experience seems surreal to me. I still feel as if the natural progression of every movie I like is to be drowned in advertisements for an amusement park version of the film. Needless to say, I begged (and pleaded and begged and asked a few more times) and was granted a few lucky trips to the park growing up. Lately, I’ve been thinking about just how amazing the Ghostbusters Spooktacular stage show was. 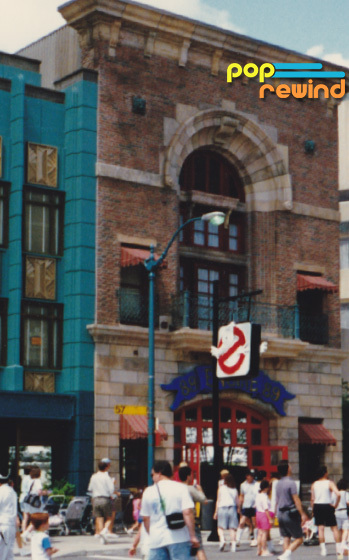 There was a giant prop version of the firehouse that served as the entrance to the attraction. Can you imagine the thrill of standing in line behind the doors of the Ghostbusters headquarters? That’s one line I never complained about waiting in! Eventually, guests were shuffled into what appeared to be a generic tour of a replica set from the infamous Gozer scene. An unsuspecting host conveyed trivia about the movies while strange things began to happen on set. Before too long, ghosts started to appear. Let me rephrase that: ghosts started to appear on stage at a live show. Using glass and a complicated projector system, it seemed to the audience that ghosts were actually interacting with the cast. Ironically, the cast wasn’t really interacting with the audience. They were miming to a pre-recorded dialogue track, featuring Maurice LaMarche and possibly Dave Coulier, both of the animated series. 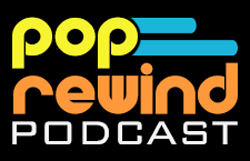 A condensed, though professionally produced, video of the show. Taking the host by surprise, Gozer eventually showed up and zapped her with lightning. Well, you can take a wild guess as to who arrived to save the day (hint: the Ghostbusters). The boys showed up in full proton gear and blasted away Gozer, while facing a bigger problem in the form of a giant marshmallow mascot. Ghostbusters Spooktacular had it all. Not only was the set amazing, but there were lights and smoke and special effects… and did I mention live ghosts? Because I really don’t think I can emphasize that enough. There was one thing the show was missing, actually: a good script. The humor was a little too campy and never quite nailed the tone of the movies. They later retooled the show to involve Louis Tully as the host and added an interactive pre-show element, which at least branded the experience a little more. 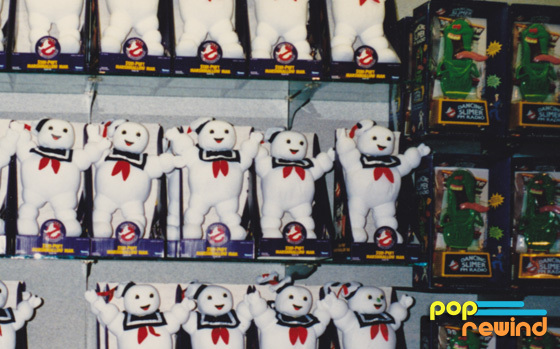 The Ghostbusters gift shop was equally mind meltingly awesome. So, what became of this truly unique attraction? Well, Universal didn’t promote this as much as the other attractions. As a park-goer, I always had the impression they considered it a “lesser” part of the park. Eventually, it was replaced by a mediocre Twister special effects show. It hurt my feelings to walk past the firehouse and see remnants of Ghostbusters Spooktacular to enter Twister… Ride it Out. Universal Studios Orlando has been doing away with classic attractions over the last few years, but somehow Twister… Ride it Out has managed to outlive anyone’s interest in the movie on which it is based. Life remains a mystery. Things like this show at another park just rub the salt in deeper. As sort of a side note, I’ll never forget a letter I received from a penpal around the time Universal Studios Orlando opened. He said he had an amazing first trip to the park and “went on everything except Ghostbusters and Nickelodeon Studios”. Agh! I hadn’t yet been to the park, so I was incredibly jealous he got to go and didn’t even bother to check out Ghostbusters Spooktacular. Obviously, I still haven’t let this go over twenty years later. 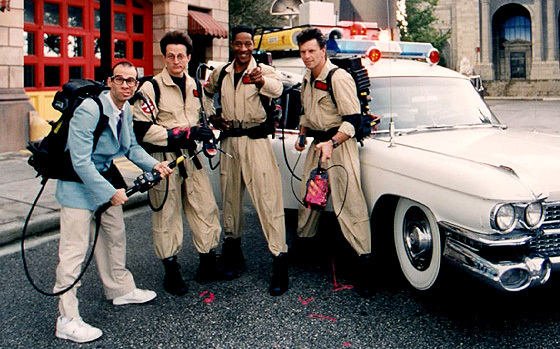 Did you ever experience Ghostbusters Spooktacular? Share your experience below! I was there as a youngster for something similar but it included Beetlejuice in the show somehow I believe. I do recall the BTTF ride and all of its glory though!